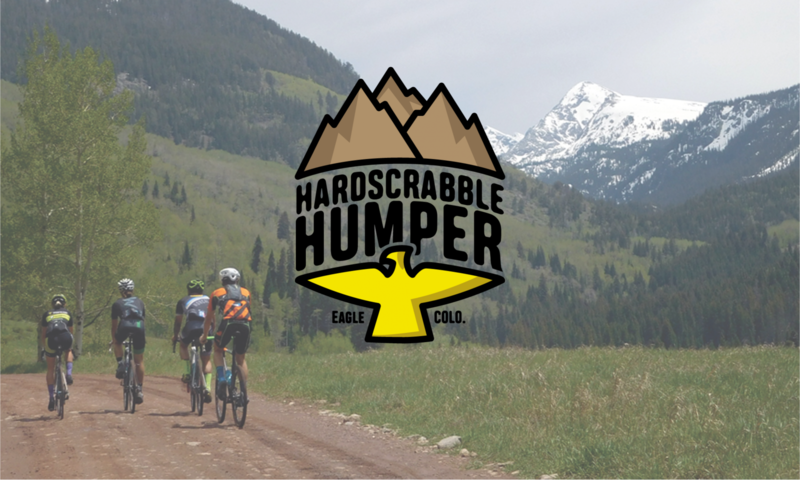 REGISTRATION FOR THE HUMPER MTB IS CLOSED. This FREE self-supported and self-navigated 37-mile backcountry ride gives you a buffet-style serving of the mountain biking goods that Eagle, CO has to offer. Bring your sense of adventure, as the ride climbs up to 9,000 ft in the White River National Forest and then makes it’s way back down to the lunar and sage littered hills surrounding Eagle. Riders can plan for a 4-6 hour day on a 37-mile route that is 90% singletrack, 10% jeep roads, numerous steep punchy climbs, water crossings, some bushwacking, a few short hike-a-bikes, white-knuckle descents, likely a run in with a cow, moose or bear, and numerous fast flowy descents that’ll make your cheeks hurt you’re smiling so hard! Total amount of climbing in this adventure? About 6,400 ft over the 37-miles. Trails you will ride include: Turnip Head, Pipeline, Firebox Rd / Dead Cow, Mike’s Night Out, Cat Walk, Easy Rider, Star Wars, Tick Alley, Yellow Chair, Abrams Ridge, Abrams Ridge Connector, LOV Connection, Bailey’s, 2nd Gulch, Mayer Gulch / Race Course Ripper. This is a mass start fun ride. There is no cost to participate, but you must RSVP. You are self-supported and self-navigated. Ride the route as slow or fast as you want. We will have a group roll-out start from the Mountain Pedaler in Eagle. Address is 101 E 2nd St, Eagle, CO. Stop in and see Charlie’s crew if you need any last second tunes, parts, or nutrition. Charlie is “the man” in Eagle when it comes to pedaling two wheels. So much so, he has a local trail named after him. Remember, support those who support you. Since this is just a “ride”, some of you may choose to start at your convenience, and that is totally cool. We will have a ride sign-in and sign-out log at the Mountain Pedaler, which will be produced from the number of RSVP we receive. Pre-ride coffee, pastry, and toast fix can be obtained just a short walk from the Start/Finish line at Yeti’s Grind. They open up at 7 AM I suggest a 3 shot Americano to get the system ready for the climb up and out of Eagle at the start. How’s the weather? The trails can handle a bit of rain on or before ride day. But if we get pounded, we will not ride. We will all use our best judgement for the better of the Eagle area trails. Check the local forecast. Where can I camp? There is a nice list here. The closest established campgrounds are Sylvan Lake State Park (closed in 2018) and Yeoman Park. Both about a 30-40 minute drive south of Eagle on Brush Creek Rd. If you do not need the finer things in life and just want a place to squat for the night, please drive up Hardscrabble Rd or Bellyache Rd. Please camp in established spots! Both roads are car, truck, and van friendly. Just be aware, if it dumps rain, you will not be able to drive up or down these roads. They turn to peanut butter….just like the Eagle trails do. This ride is fully UNSUPPORTED and you will need to be SELF-SUFFICIENT in order to complete this 37-mile route. Faster riders can plan for roughly a 4 hour day. Slower riders may take as long as 7 hours. We cannot say this enough, YOU are responsible for YOU. Plan on carrying everything you need (food and water) to get from the start to the finish. Cell service is spotty. The route will NOT be marked. With that said, MOST of the trails in Eagle are signed or labeled. Be ready to self-navigate. A GPS with the track is highly advised. Do yourself a favor and upload the GPX or TCX to your favorite navigational device. See the course map and/or download the GPS file. Riders are encouraged to ride as little or as much of the route as they feel comfortable with. There are various bail out points to get back to Eagle…should you choose you bit off a little more than you could chew. While not a race, some riders may choose to “ride fast.” This is totally up to you. In the spirit of these rides: You do you. This is intended to be non-commercial and is a recreational-use activity that is held on parts of USFS / BLM lands in compliance with USFS / BLM Special Use Rules and Regulations. This is NOT a closed route. Other trail users, including cyclists, hikers, equestrian, and the motorized community may be encountered at any time on any trail or road. Please show respect and be nice out there.